Let your engine breathe! 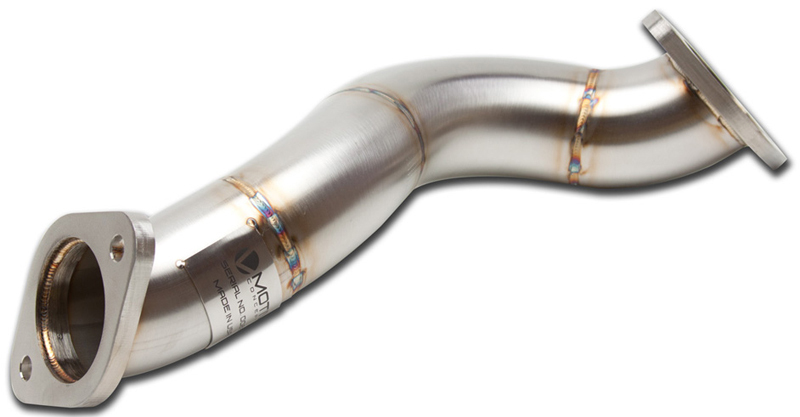 The Motiv Concepts overpipe exhaust piece for the Scion FRS and Subaru BRZ works with the stock exhaust, or any aftermarket exhaust that fits with factory exhaust parts! 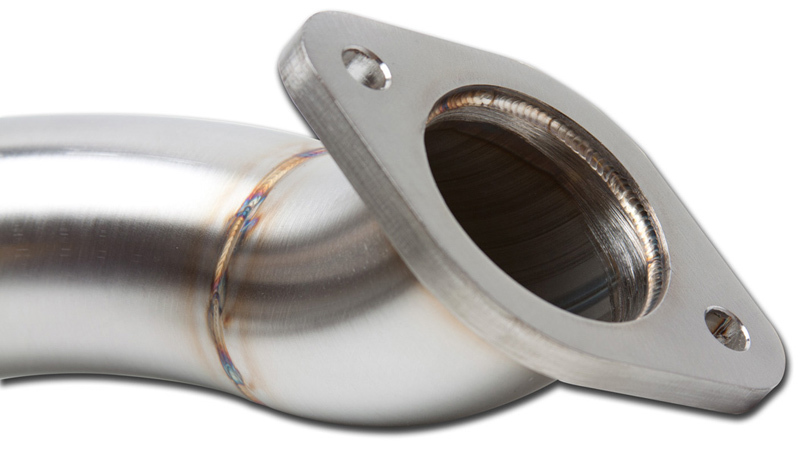 The Motiv Concepts Overpipe for the Scion FR-S and Subaru BRZ provides a huge boost in performance by removing tight bends in the factory overpipe. The Motiv Concepts Overpipe for the Scion FRS and Subaru BRZ replaces one of the smallest exhaust parts on the 86 chassis With the factory exhaust overpipe, the size of the exhaust is greatly reduced and has horrible bends in it as it snakes its way over the subframe and swaybar. 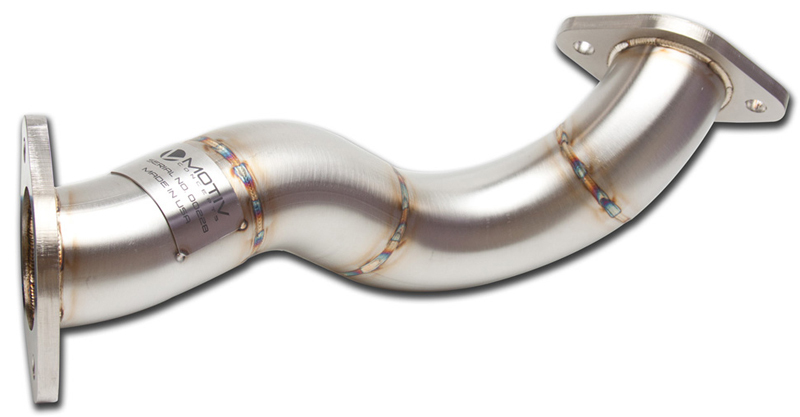 Built from 2.5 inch stainless steel RathGibson tubing, the overpipe is guaranteed to increase horespower and torque on your car, while providing a nice, deep growl. This overpipe features steel flanges that are 3/8 inch thick, which places it in a class of its own. As always, the Motiv Concepts overpipe features a signature brushed finish that This Motiv Concepts overpipe will NOT cause a C.E.L. (Check engine light). This overpipe is for OFF-ROAD use only.